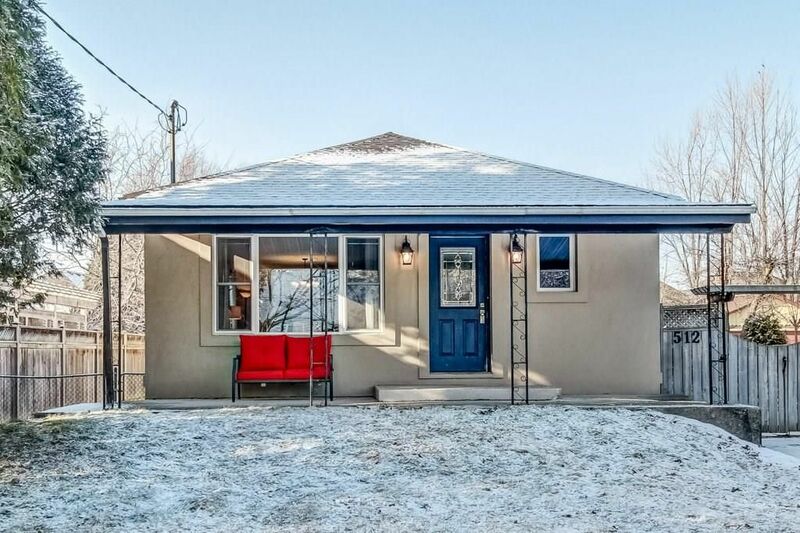 Located on a quiet cul-de-sac in downtown Burlington a short walk to the lake, this bright 3 + 1 bedroom bungalow offers approximately 1600 sq. ft. plus 1150 sq. ft. in the finished basement. Features include a large eat-in kitchen by Gravelle with breakfast area, hardwood floors, updated windows, spacious bedrooms including master with walk-in closet, 2 full baths, a 5-piece and a 4 piece. Huge recreation room with large above-grade windows. Separate entrance to basement. Pool size backyard. Roof (2013), Air Conditioner (2012). Large addition on the back so larger than it looks from the curb. Easy walk to downtown Burlington, Spencer Smith Park, the lake, Schools and Joseph Brant Hospital. Close to highways and Mapleview Mall. Great family home!